The Schwalbe Ultremo ZX tyre is not as common as the ubiquitous Continental GP4000s or Michelin Pro, but that situation is slowly changing. Trading durability for handling and flat out speed, the Ultremo ZX is race-proven and available in a variety of colours and sizes to suit every taste. 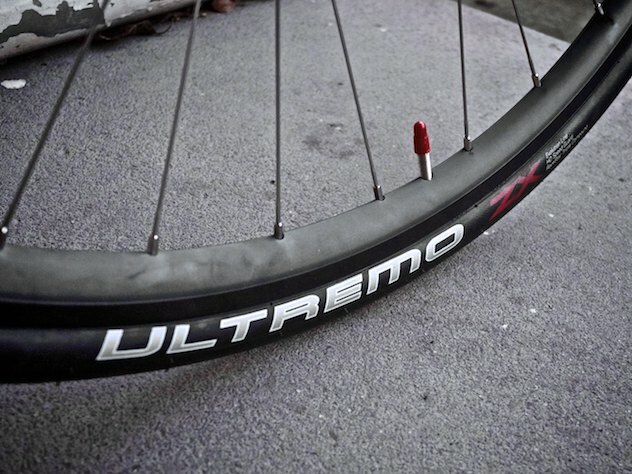 For those who have an interest in long distance events the larger Ultremos (25mm and 28mm) are very exciting, although they inevitably won’t last as long as more mundane tyres and you need the clearance to get them on your bike. (At the time of writing, Wiggle have a 29% discount while Chain Reaction are doing 33% off the Ultremo ZX). The bead, fabric and rubber make up 160g of this while the V-Guard breaker strip adds 35g. If you’d rather take your chances, Schwalbe manufacture the Ultremo ZLX without any puncture protection at all (unsurprisingly, it weighs 160g). Schwalbe produce the Ultremo ZX in a variety of sizes, most excitingly 700x25c and 700x28c. The 28mm version weighs basically the same as the 25mm GP4000s (which is only 25g heavier than the 23mm version) removing most of the traditional objection to the use of wider tyres. The difference between 23mm, 25mm and 28mm may not sound like much, but it actually adds hugely to the volume of the same supple tyre carcass. 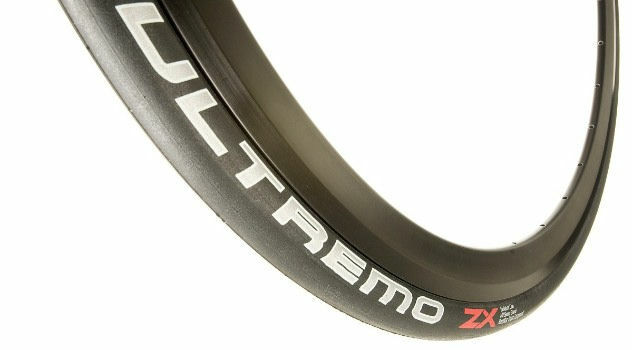 The 28mm Ultremo ZX has 50% more air in it than a 23mm Continental GP4000s for a rediculously tiny 30g weight penalty. Not only does this offer extra comfort for long days in the saddle, it increases stability and control on fast descents, rough surfaces and hard maneuvering. For technical reasons, if all else is the equal a wider tyre will also roll faster. All else is very much not equal between a race and touring tyre, but it applies here: the wider casing bulges proportionally less, so the sidewall deflection is slightly closer to a perfect circle (ideal efficiency). Precise figures are hard to come by, but the Ultremo ZX is very competitive in terms of rolling resistance – perhaps faster (but certainly not detectably slower) than the GP4000s that are my default choice. The carcass is 127TPI, as compared with 110TPI on the GP4000s (for one reason or another, Continental add up the three overlapping layers to claim 330TPI, but Schwalbe don’t). As I’ve written before, both of these tyres are measurably faster than some tubulars (such as the Continental Competition) which should tell you all you need to know about how fast they really are. The Ultremo will transform a bike fitted with cheap OEM or training tyres. I originally got into wider race tyres with Continental’s GP4000s in the 25mm size. I found these excellent on the 1200km Paris-Brest-Paris, where they generally made things more comfortable and provided a bit more control and forgiveness when I was exhausted. Then I discovered the 28mm Ultremo ZX and realised that I had just enough clearance… I couldn’t resist. The extra efficiency of a wide supple tyre makes a big contribution on long distance events and here the Ultremo really excels. The Ultremo ZX is confidence inspiring in mixed or wet conditions thanks to the combination of generous width, supple construction and sophisticated tread. Thanks to Schwalbe’s “Triple Star” compound, the centre of the tyre is more durable while the shoulders are tacky for enhanced grip while cornering. So far (touch wood!) I haven’t come off on the Ultremo ZX at all, although perhaps I will rapidly come to regret these words… watch this space! The wide profile of the Ultremo makes it very predictable when leaning in or turning from edge to edge. Interestingly, Schwalbe do manufacture a version of the Ultremo specifically for wet conditions: the Ultremo Aqua. The rubber is so tacky that it comes with a special warning to be vigilant – sharp things are just as good at sticking to this tyre as it is at sticking to the ground! The general consensus from those less fortunate than I is that the Ultremo ZX’s sophisticated V-Guard breaker strip is effective at repelling sharp objects, although there are enough disappointed voices to underline that these are racing tyres and not designed to shrug off piles of glass. 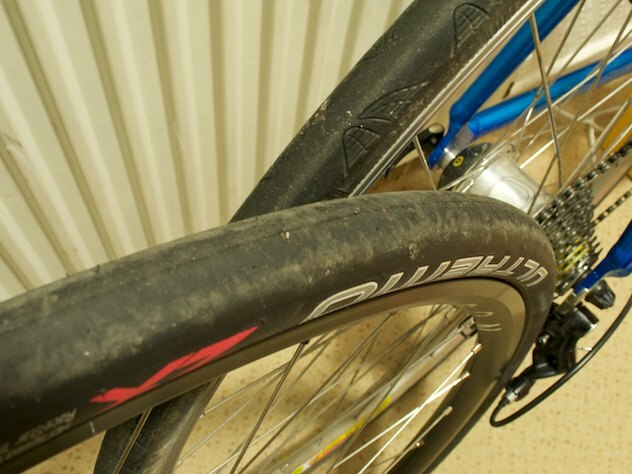 In common with all true race tyres the sidewalls are unprotected: vital to minimise rolling resistance, but exposing them to risk of damage compared with heavier and less supple tyres. If you prefer to err on the other side of this compromise you could investigate Schwalbe’s Ultremo DD model, which adds ‘Snake Skin’ sidewall protection at a 45g penalty. Tread thickness is directly linked to rolling resistance. The Ultremo ZX emphasises going fast, so it has relatively little rubber! As mentioned above, watch the sidewalls. I’m still on my first pair and so far they still look good; as there are no visible wear indicators I shall update this review when they eventually run out of rubber. I’m hoping to get 2000 miles on the rear tyre which I’ll consider fair innings. At the end of the day they are a consumable item, and we accept the flipside of high performance with eyes open. The Schwalbe Ultremo ZX is a superb choice if you’re looking for a racing tyre, and the wide range of sizes available make them especially attractive to those riding longer distance events (or on rougher road surfaces). They roll well, handle beautifully, have respectable puncture protection and lifespan, and they look fantastic. I’m still in the middle of my first set of 28mm Ultremo ZX tyres but they have transformed my ultra-distance experience compared with the 23mm tyres I used to favour. I rode a 208km brevet at the start of the year with almost no miles in my legs, and they seemed to float me over often ragged surfaces, helping me to stay fresh for the big pushes. At the time of writing, Wiggle have a 29% discount while Chain Reaction are doing 33% off. Not a tyre to commute on, but awesome for those big days on the road! 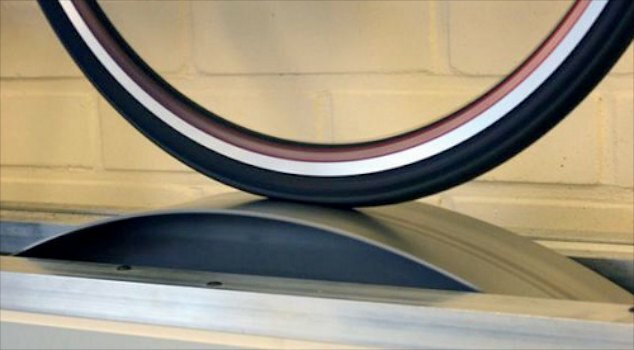 * note that coloured rubber and tubeless options are available in 23-622 / 700x23c only. I read with interest the Ultremo tyre review; my question is only indirectly related. 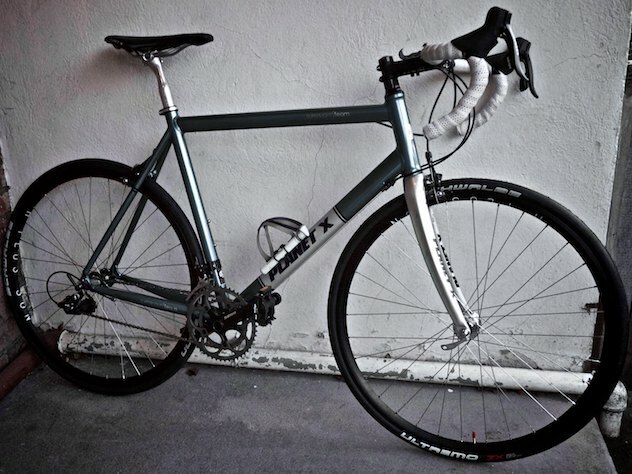 The picture of your bike handsomely shod in said tyres appears to have a derailleur but no mech. Have you discovered a radical new type of cycle transmission? You mean cassette? This is a pic from when I first built up these wheels and was in a hurry to get a shot taken to post online – and I didn’t have a cassette ready! Once again, many thanks for a terrific Review! !